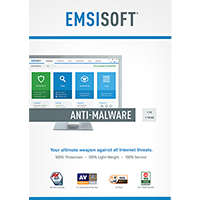 Emsisoft Anti-Malware is a powerful tool for detecting and removing both viruses and spyware. The program offers multiple layers of protection. A web monitor blocks attempts to reach malicious websites; the real-time file guard checks the files you access for threats; and even if that fails, the Behavior Blocker watches programs for suspect actions, detecting and blocking even brand new, previously undiscovered threats. There's just as much configurability elsewhere. The program's "Surf Protection" feature doesn't just blindly block sites on a list; you can define the type of sites it checks, the action it takes (Alert, Block and notify, Block silently), and customise the list to allow or block access to any domains you choose. The Behavior Blocker panel offers even more protection possibilities. It's a Task Manager-type module which by default only displays running programs which it doesn't trust, immediately highlighting potential threats. In a click or two you can search for its name online, open the program's folder in Explorer, close it down, even - if you're sure it's dangerous - create a rule which will block it from ever running again. 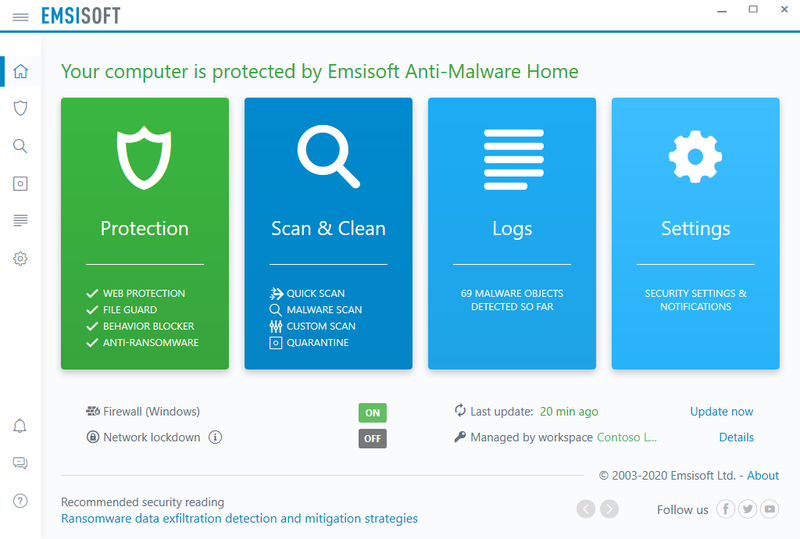 Best of all, Emsisoft Anti-Malware is designed as an extra layer of security, so you scan and protect your computer, without having to remove your existing security software. It compliments rather than substitutes your existing security. Note that this version includes a 3-PC, 1-Year license. Most system performance issues are often a result of other software clashing with your brand new software. For instance, security software can clash with a background process, such as a system maintenance tool or defragmentation software. Another cause of system slowdown, is a result of two software applications performing a similar task. As an example, Windows includes a firewall switched on as a default. Your new security suite is likely to include a firewall. You only need one firewall running. In this example, try turning off your system firewall. Occasionally you may need to either temporarily or permanently remove your new software. On a Windows computer, go to the Control Panel and choose Programs and Features. Locate the program within the list, then click it to highlight it. Finally, click the Uninstall button at the top of the list and follow the instructions to remove the program from your PC. On an Apple Mac computer, using Finder, locate the Applications folder. Within the Applications folder, find the name of the application you wish to remove. Simply drag the icon to your Trash icon in your dock. Empty the Trash to remove the files from your computer. If you cannot solve your system performance issues or are struggling to remove your software, we advise contacting the software manufacturer. If you placed an order, see the section in the order which states Support options. Alternatively, go to the Contact Us page to contact store support directly. © 2009-2019 Creativemark, Black & White Building, 74 Rivington Street, London, EC2A 3AY, United Kingdom. All Rights Reserved.